Hi! 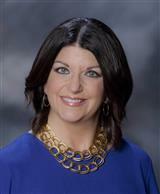 I'm Angi Bourque, a full time, professional Realtor and a lifelong resident of Ascension Parish. I previously worked 9 years in proprietary school administration and 18 years for a national consulting firm. I am now at a point in my life to pursue my true passion - real estate! I am dedicated to guiding you through the entire buying/selling process from introduction to closing, and making it the best possible experience for you. I have experience working as the Listing Agent and Buyer's Agent (residential and land), First Time Home Buyers, Relocations and Referrals. Let me help you make your real estate dreams come true. Put Bourque to Work For You!